We provide the best in-class travelling experience by arranging an interactive tour of the prominent tourist destinations of Rajasthan. Atulya Rajasthan assures of providing the finest tour packages of Rajasthan designed by best tour operators ensuring anenthralling experience. We also provide specialized travel agents. As one of the leaders of tourism industry of Rajasthan we trust our collaborated hotels to provide easy and premium arrangements to the travelers. We provide tourists withtop notch experience in terms of services and subsequent rates. We also provide customized tour packages across the entire state allowing tourists to select the place along the duration of their stay. Tourists can hand-pick the travel plan based upon their desire to enjoy and stay in their place of interest. Hence, we provide the best tour experiences in a reliable and quick manner, maintaining an affordable price range. Thinking about the Journey? Not a problem! With our expertise in planning the tours & insights, you can feel free and relaxed from all the trip hassles. 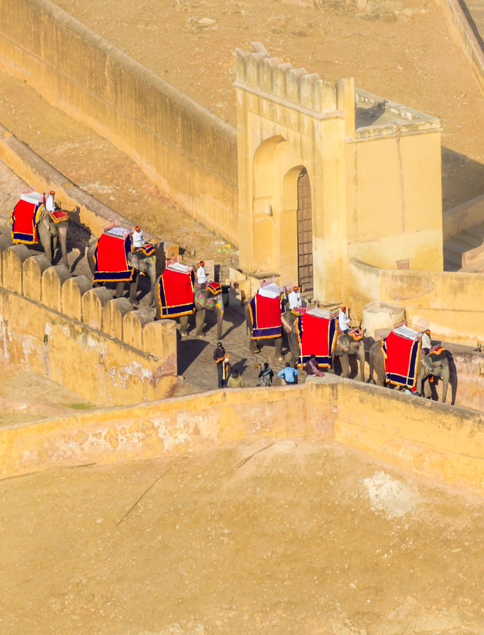 With the best travel routes already crafted with our Royal Rajasthan Tour packages, we will also provide you all the information required for this tour along with the encompassing destinations. It includes picking the major destinations, selecting the best lodging options and recommending the actions & adventures specific to the said destination. All we want is to provide the best tourist experience! Rest assured, you will have a big smile & lovely memories returning home. Our organization believes in Customer Delight by bestowing Best in Class Rajasthan Tour Packages with Service excellence at reasonable price. We dream big with our business by presenting Awesome Travelling experience safe guarded with security for all Tourists planning to visit Rajasthan. We started this Venture on a small scale in mid 2009 with an idea to deliver comfort in travelling and since then, have exceeding expectations with every tour we organized. We have emerged as “the best there is” and now we eye for “the best there will be”. A perfect blend of luxury, service & comfort makes the perfect cocktail every time! With this motto, our team of experts is determined to create the WOW factor with every customer and Touring opportunity.